It's been a minute since my last Food Truck profile. I don't have a list of next trucks to feature, nor am I constantly reaching out to the food truck community, I just kinda let it find me, like this time. I went to Prime Stache (110 Chestnut Street) with my friend Teresa after the movie Heaven is For Real (click for T&T post) and we closed the joint, last two people to leave the restaurant; they just happened to have a couple of sandwiches left over from an event, and they offered them to us to take home. T&T: How long have you been in the food industry? And When and Why did you decide to start a food truck? 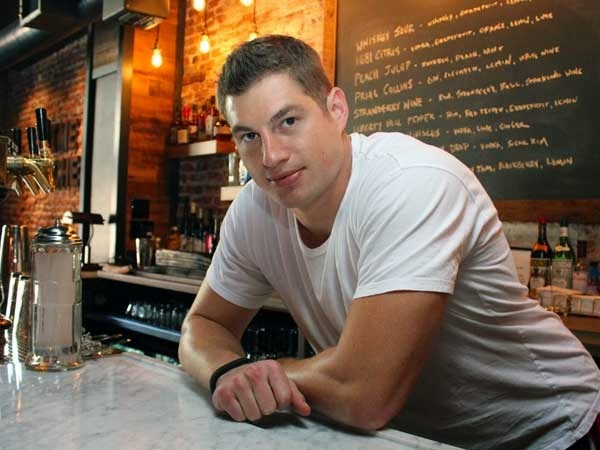 MF: Prime Stache opened its doors on April 29th, 2013 in Old City,Philadelphia. From minute one, it was obvious that there was one goal in mind... Excellent food and excellent drinks. As the year went on, itbecame more apparent that these recipes had to be put to the streets! 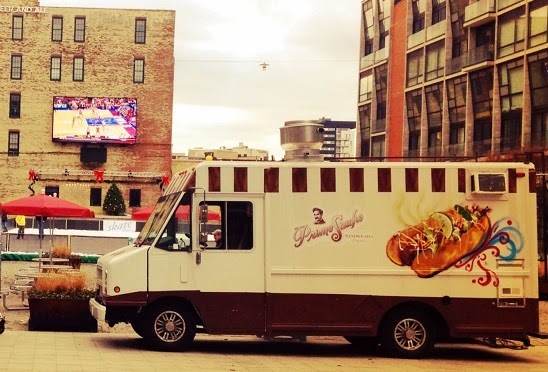 Thus became The Prime Stache Food Truck in the fall of 2013. 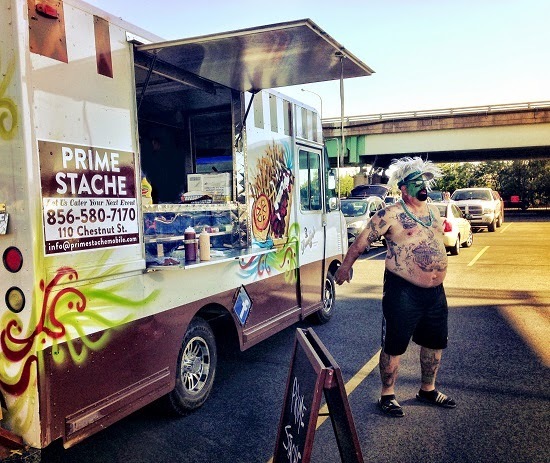 The early months were tough; food truck season begins in the early months of spring and Prime Stache was late in the game. The cold was no match for the Stache Mobile and we survived through the winter and drove right into the spring of this year. Now we're a force to be reckoned with in the food truck world...Watch out! 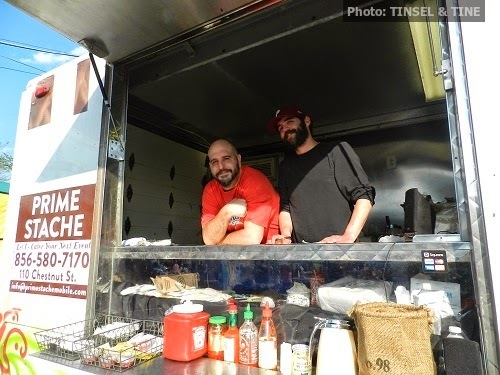 T&T: Best elevator pitch - What sets your food truck cuisine apart from others? And what's unique about your truck itself? MF: You want size AND quality?! Impossible. But wait..it IS possible! 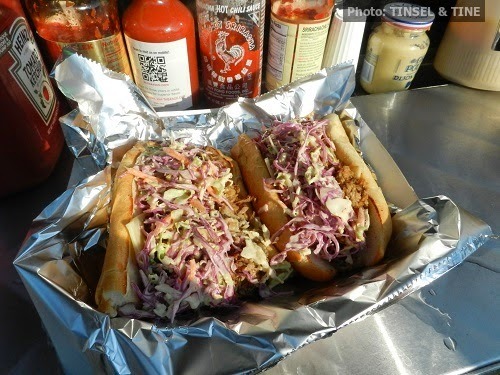 Check out our Ron Burgundy for example (our most popular sandwich off of our truck): This thing is enormous! Pulled pork, roast pork, porkbelly, American cheese, apple cider barbecue sauce, and housemade coleslaw on a long Amoroso roll. 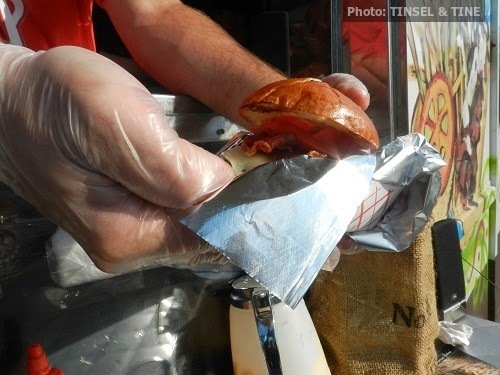 2nd truck fav - Stache Burger: Bacon, American cheese, green chiles, chipotle Aioli tomato on a Brioche Roll. Come on! Food is everything to us. We take pride in carefully executing every sandwich, soup, appetizer, or entree that leaves our truck. You won't be disappointed. Also, we love to dance to Motown all the time. Ever seen a crew of food truck guys dance to Motown? T&T: I've eaten 3 of the Ron Burgundy's now, yet never with a beer, and this sandwich is crying for a beer, so now I have to go back for a 4th! 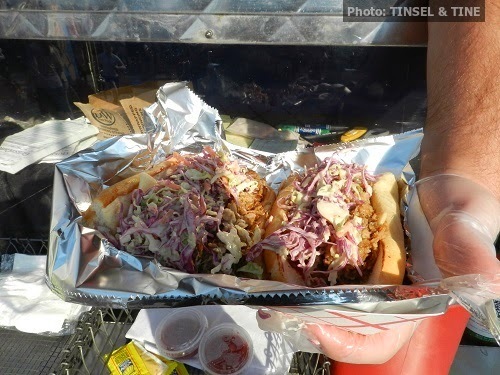 T&T: What do you wish the City would change about Food Truck Vending in Philadelphia? MF: Please let us park inside of Independence Hall. T&T: Who's the most famous person to come up to your truck? And/or at what events do you do the most business? MF: Most famous...? I guess it would have to be Brent Celek of the Philadelphia Eagles. Oh wait, does it count if he owns the business? MF cont: Most popular events? Beer festivals. Hands down. Our food is built for beer drinkers. Take one bite of our Stache Burger after a few rounds and you'll think you bit into solid gold...without the...texture..and the flavor..? That was a poor example. T&T: We always add a little Tinsel into our Tine, so what's your favorite movie genre and favorite movie from that genre? MF: As long as this isn't posted anywhere..I love romantic comedies. They make me believe there is hope for me yet. John Cusack in either Better off Dead or Say Anything. Just a few tears. Just a few. Oh, but what you should actually post is a category I like to call 'MansportMovies' and my favorite is Bloodsport featuring my man Jean-Claude. Comments are now being directed to Tinsel & Tine's facebook post!